I have been to this building a few times already. The first time to buy the grocery at Super 8. It was then I discovered Office Busters at the parking lot where I fell in love with a leather sofa set and got heartbroken because it was sold already. I haven’t gone back to the grocery and the surplus store but I would always check out the latter’s website for great furniture deals. 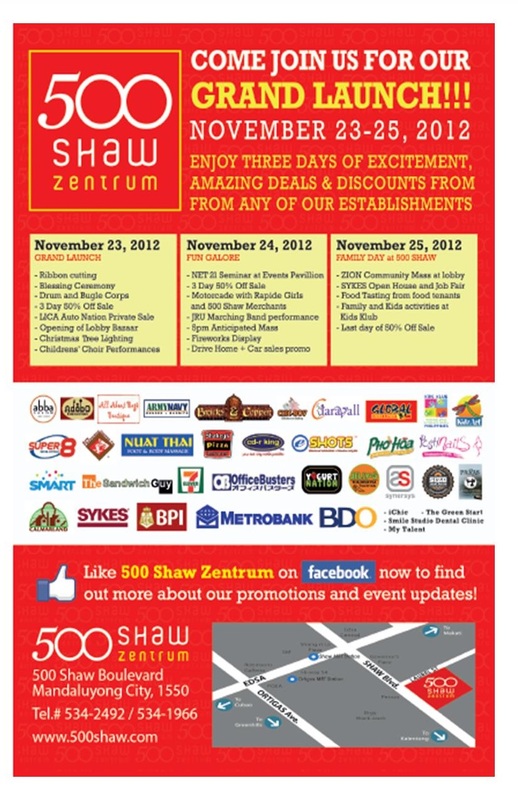 We’ve tried a few restaurants at the 500 Shaw Zentrum already with Army Navy as my and my husband’s favorite. We live only a few blocks so we would pass by it regularly. I’ve always been curious of this “mall”. Next to SM Hypermart, this one is the nearest to our house. Pwede. I know it’s been around for years but it’s only this year that more shops are opening. 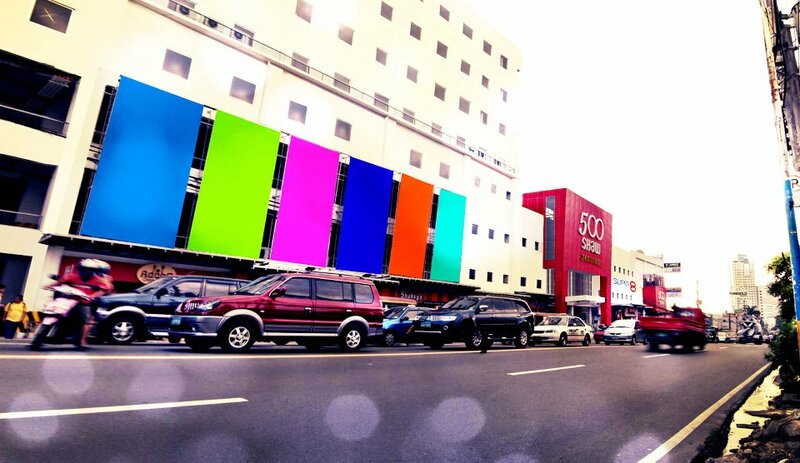 And what do you know, the mall is only about to be launched officially. I guess the management is waiting for more companies to set up shop there to finally introduce to the public and promote the area. Grand Opening Weekend is on November 23, 24, and 25. Ribbon cutting will be at 9AM on Friday. 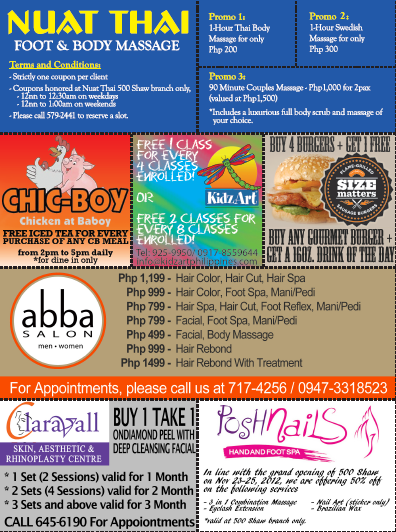 Feel free to print and use at the available establishments. Next Next post: What’s a Washi Tape?